J. C. McKeown, A Cabinet of Greek Curiosities: Strange Tales and Surprising Facts from the Cradle of Western Civilization. Oxford; New York: Oxford University Press, 2013. Pp. xv, 286. ISBN 9780199982103. $18.95. The collection of blurbs from famous scholars on the back of this book warns you at the outset that this book does not take itself too seriously. 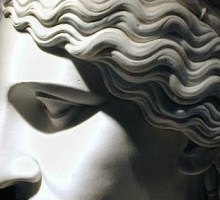 Sappho boasts that it is "The loveliest thing on the black earth" and Laocoön calls it "The ideal gift." That is not to say that McKeown's Cabinet is not a learned book and one worth reading and sharing with friends in and out of the profession. The collection of miscellaneous facts and stories is clearly the result of massive amounts of reading and investigation into sources common and uncommon among Classicists. There are twenty-four chapters ranging from "Food and Drink" to "Philosophers" to "The Soros," or the heap of material which did not fit into the other chapters; this heap is subdivided into many sections as are many of the chapters. There is a glossary which makes no pretense to be comprehensive but rather refers the reader to the Oxford Classical Dictionary for further information. McKeown explains that the glossary, such as it is, is in lieu of explanatory footnotes accompanying the text. In his preface, McKeown explains the genesis and aim of the book. Rather than simple idealization of the Greeks he would have us better understand them, and so "Nearly everything in this book illustrates the non-quite-so-wonderful aspects of Greek life and thought." He says that he hopes to show how much the Greeks were like us, but knows that the book shows how different the ancients were from us as well. The stories include the impossible, the misguided, and the incorrect, but they still are interesting and amusing in that someone saw fit to record them at all. The only complaint this reviewer has about the book seems attributable to the press and not to the author. Somewhere in the final setting of the text the pagination of the cross-references was muddled. The resulting frustration as you recall a point and try to track down where you did see it is a bother but not a fatal flaw. As for the content, the selections are, on the whole, intriguing and often delightful. I had the good fortune of reading the section on "Children and Education" before a grading period and only wished I could have used such honesty in my evaluations today (though even today one might say, as Libanius did to a parent, that a student trying to learn without books is like someone trying to learn archery without a bow). In teaching Caesar's ethnography of the Gauls, I now have Plato's Phaedrus 274c, which agrees with the Druids assessment of writing and its negative effect on our memories ("Science and Technology"). I laughed out loud at the idea of Alcibiades punching a teacher for not having any copies of Homer's poetry ("Homer"). I can now share with my track team ancient "trash talk" from the section on Athletics. In short, there are many anecdotes for class, cocktail parties, and more. I have used McKeown's A Cabinet of Roman Curiosities as a student gift and will add this one to make a pair. Some teachers would have to avoid doing so, of course, as material abounds which some would find offensive. This warning is a comment on the source material, not the selection process; the snippets never feel as if they were chosen to shock the reader, but shock they might. Many of the pieces could sadden the reader concerning the apparent lack of humanity in our beloved Greeks. In this, the book achieves its goal of showing both the differences and the similarities between us despite the passage of time. A Classicist will find much to use, and as a gift to a friend who wonders how the ancients can hold our fascination so thoroughly, this cabinet will surely inform and charm the recipient.